A fast tracked version of progressing to achieve a bachelor’s degree with your friends (in which realistically your friends do different degrees too most of the time), going through similar temptations and routines (excessive coffee intake and sleepless nights) in hopes of reaching that golden mark required to graduate. My primary contribution pre-development of the project has mainly been the delegation of who is doing which part, focusing on who would do each section to their own strengths, Tate and Brooke have very stimulating ideas in which the mechanics and rules can be brainstormed, whereas Ijumaa is very creative with finding the narrative and themes behind ideas. My role is researching similar games and the physicality of creating them. Background research (mainly coming from BoardGameGeek.com) is the perfect starting point to collate different aspects of a board game, in both it’s actual gameplay, but also behind the scenes. In terms of productions it is usually a case of finding the most suitable company for distribution, and the most reliable, yet affordable, manufacturer for pieces to be made. 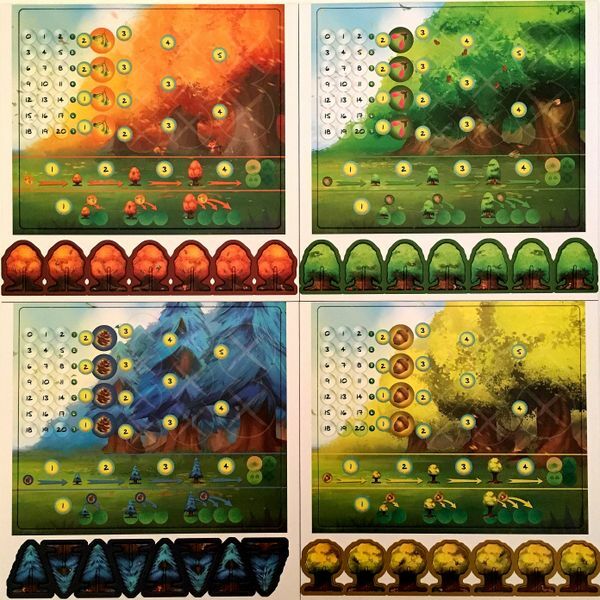 Although this is only a basic development of a board game, the our prototype will mainly consist of cards and individual tracking ‘scorecards’, similar to photosynthesis. Although our group have their own sections to focus on, we all still continue to assess the development of the other sections of the game. As much as I do like game mechanics and rule-sets (although I do tend to try to find parts which could potentially be ‘broken’ in a strategic way), I also over-complicate things, and so I am trying to tell myself to take a step down and look at what can be made simpler before going full speed ahead. We already have some ideas on how the game will actually progress, but I feel this ‘simulation’ genre we are attempting to make will be difficult to find the perfect mixture of mechanics and theme in this short time of development.